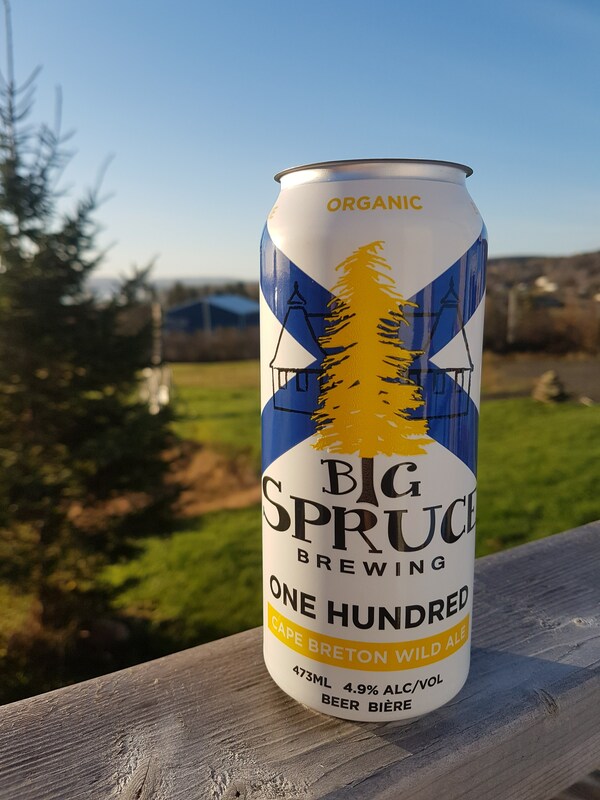 One Hundred is the first beer made of 100% Nova Scotia ingredients. It features the Big Spruce Brewing proprietary wild yeast, harvested from the surface of a pin cherry that grew on their farm. One Hundred will be available in limited quantities on NSLC shelves and at their brewery in Nyanza.